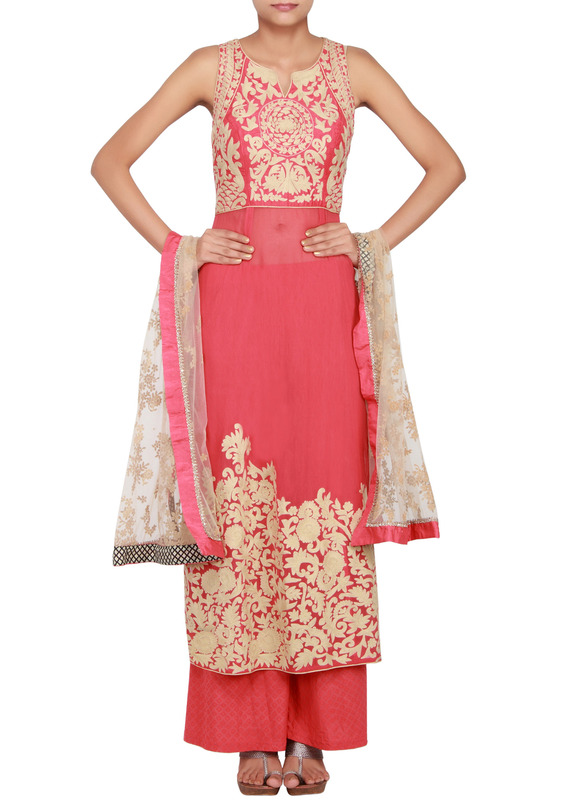 Featuring a red georgette and silk a-line suit embellished in thread work. Bodice in red silk embellished in beige thread work all over both front and back. 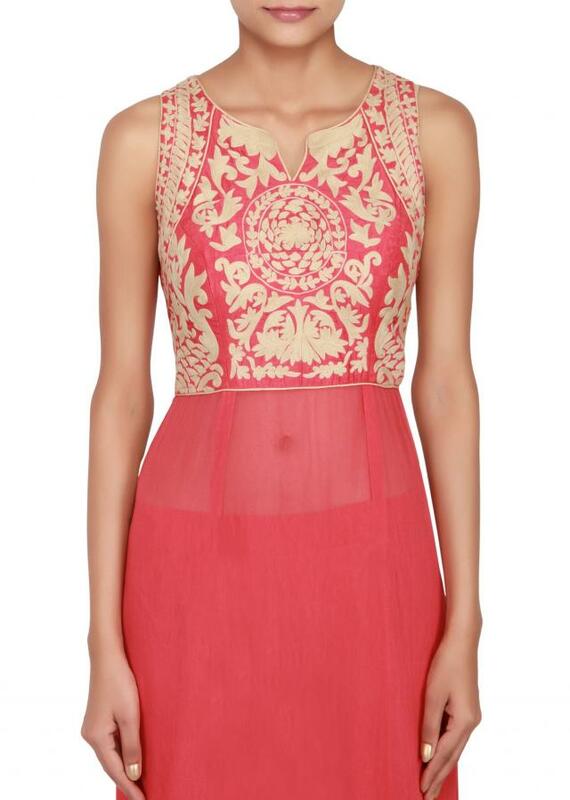 Neckline is round with a small v shape opening. 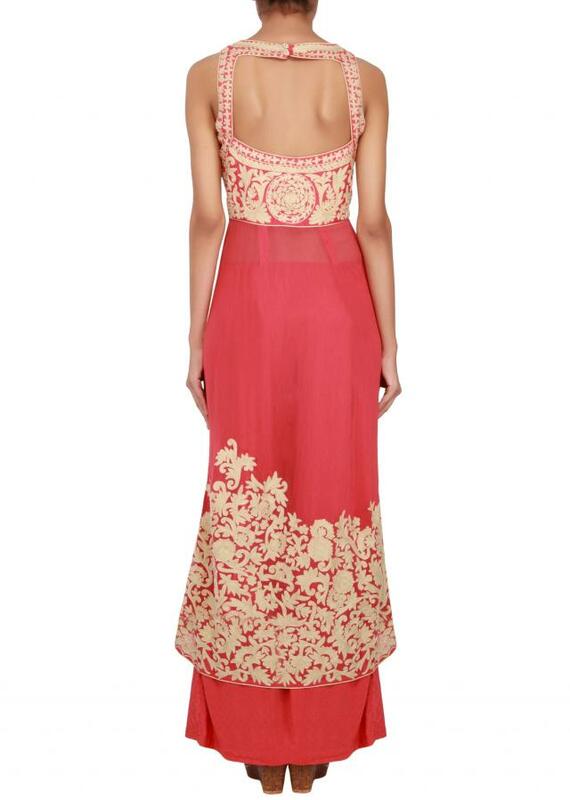 Lower skirt in red georgette with heavy beige thread embroidery on the border. 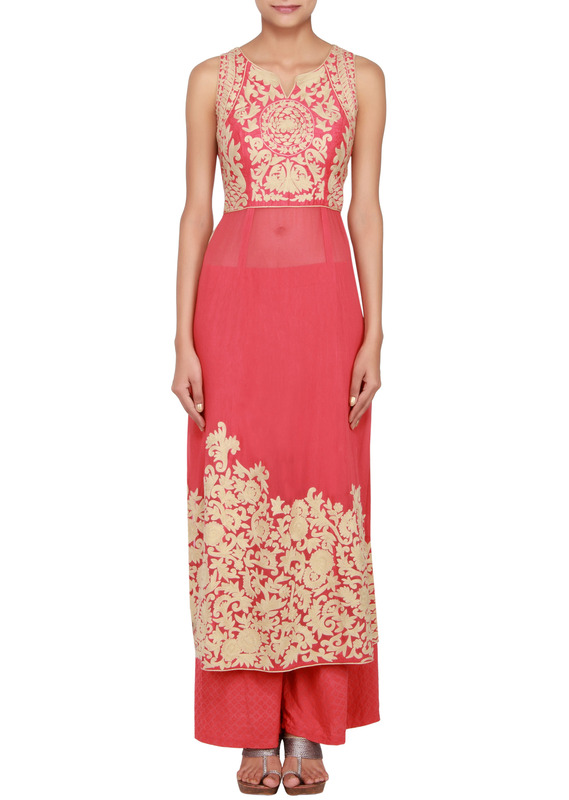 Side slits from the higher waist line with beige raw silk hem on both sides. Back has a deep square cut-out. It comes with matching brasso lycra palazzo pants. 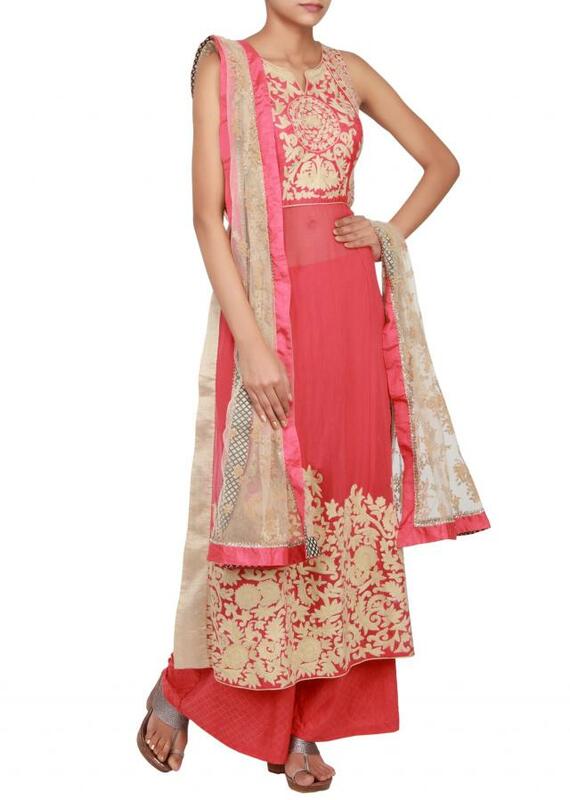 Dupatta is in beige net with self applique work and black-white printed border further enhanced in pink satin.